Results and Effects: For deep-skin cleansing and removal of deal skin cells. Made with completely natural ingredients without chemicals or additives. 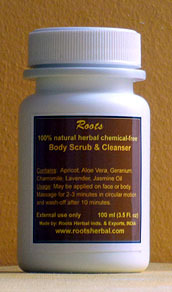 Usage: Apply on face or body, massage for 2-3 minutes in circular motion and wash after 10 minutes.